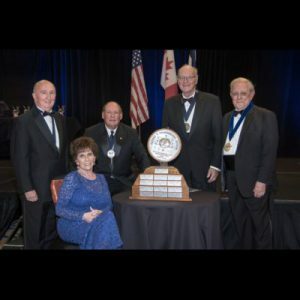 The National Defense Industrial Association Rocky Mountain Chapter has been conducting the now-known-as Rocky Mountain Ball in Colorado Springs since 1984. 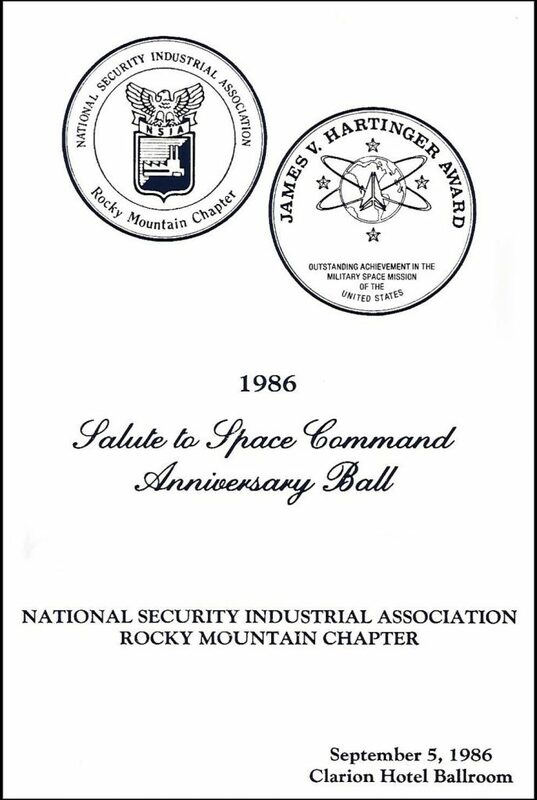 Two years after the establishment of Air Force Space Command, the then National Security Industrial Association (NSIA) established a Rocky Mountain Chapter in Colorado Springs. It was this NSIA Chapter that was instrumental in establishing the Ball. 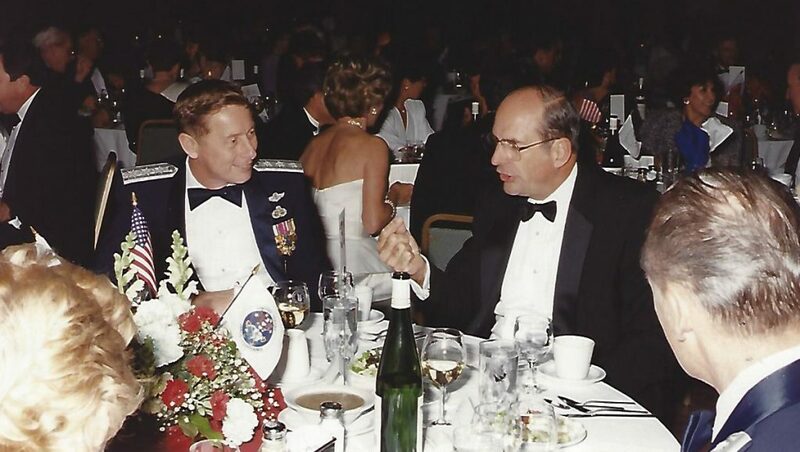 Originally called the “Salute to Space Command Anniversary Ball,” the first Ball was to commemorate the second birthday of Air Force Space Command and honor General (retired) James V. Hartinger, under whose leadership, Air Force Space Command became the space major air command within the US Air Force. 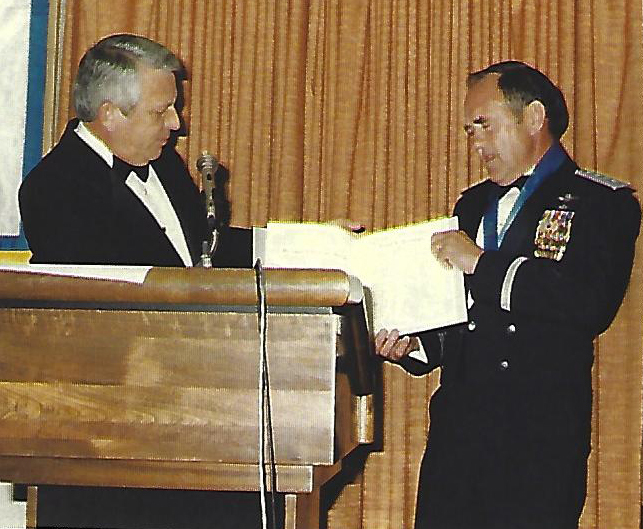 Air Force Space Command became a major air command organization in a ceremony at Peterson AFB, CO on September 1, 1982, with General Hartinger becoming its first Commander. At the first Ball, the goal was to honor General Hartinger and his pioneers who established military space in the US Air Force. To celebrate this accomplishment, the NSIA Rocky Mountain Chapter decided to have a formal ball to honor those involved in that significant achievement. Industry members of the association purchased tables and invited government attendees to attend at no cost, an arrangement that continues today. The NSIA Rocky Mountain Chapter also created the General James V. Hartinger Award to honor General Hartinger for his leadership. 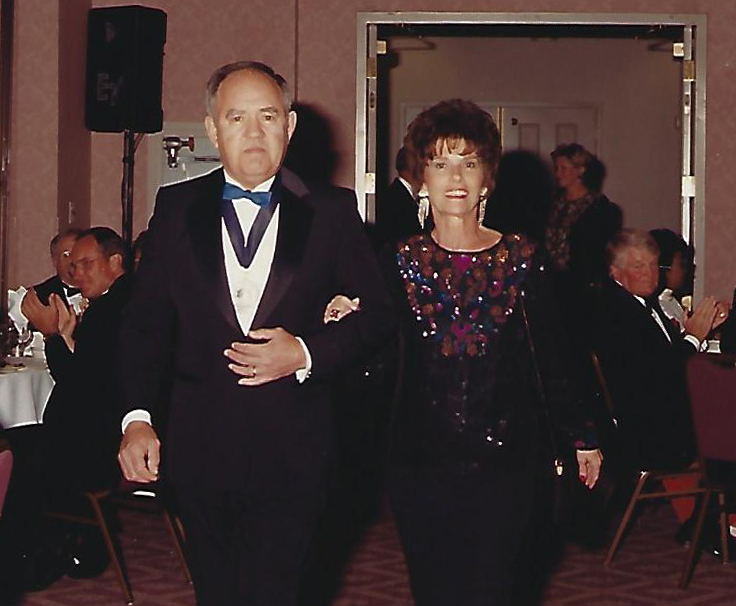 The first Ball was held at the Peterson AFB Officers Club on September 7, 1984. 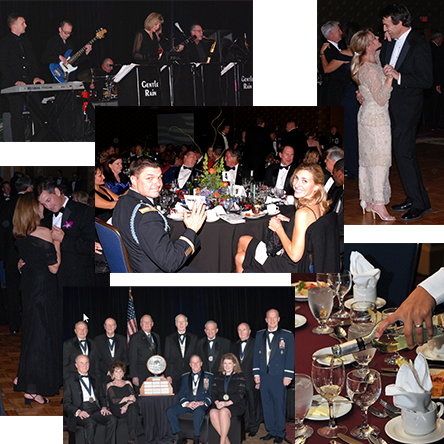 At the Ball, the NSIA Rocky Mountain Chapter presented the first Hartinger Award to General (retired) Hartinger. The Hartinger Award medal presented to General Hartinger in 1984 is currently on display in the Hartinger Exhibit in the foyer of the Hartinger Building on Peterson Air Force Base. The Hartinger Award itself, identifying all those who have received the award, is also in the foyer of the Hartinger Building. Since the first Ball in 1984, some things have changed, but the Ball continues. In 1997 the National Security Industrial Association merged with the American Defense Preparedness Association and the name of the merged organizations was the National Defense Industrial Association. In 2008, the NDIA RMC changed the name of the Ball to the Rocky Mountain Ball to better capture all defense organizations in the rocky mountain area. The Chapter also initiated new awards for patriots from the Colorado Springs area. 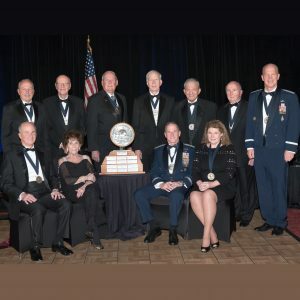 The Ball now, in addition to the Hartinger Award, presents the Patriot Award to outstanding individuals from Fort Carson, United States Air Force Academy, Army Space and Strategic Defense Command, USNORTHERN Command and Air Force Space Command and its subordinate units. So come join us at this year’s Ball. 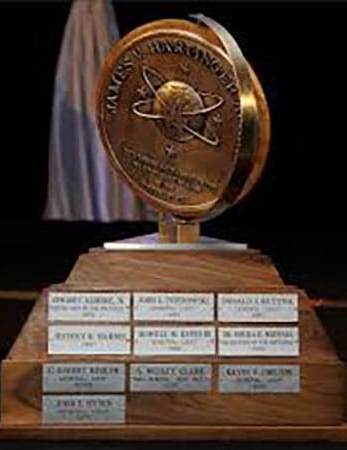 We will once again be celebrating the legacy of space in the US military and will be honoring military individuals who have gone above and beyond with the Patriot Awards. Go to the current Ball Purchasing Options page here. 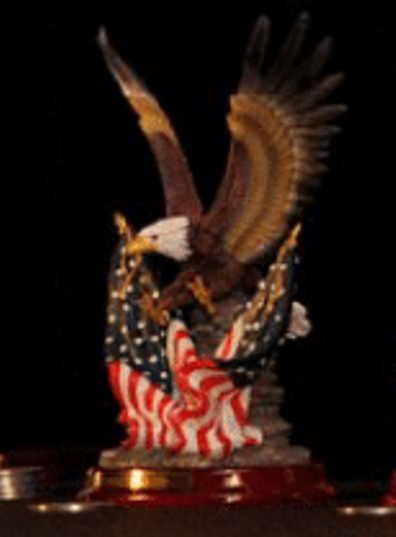 To learn more about the Hartinger Award and the Patriot Awards, and those who have received them, follow the links below. The fun and formality of the Past Ball Events have been archived along with the information, photos, award winners, and sponsors below.